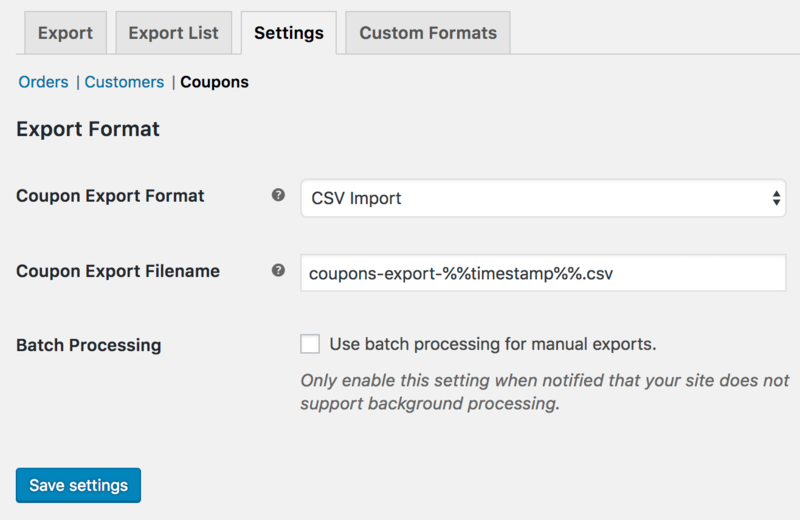 Our CSV Import suite plugin has allowed importing coupons for some time, but we didn’t have a corresponding export available that matched its format exactly. We’ve now added coupon exporting with a compatible format for easy bulk coupon updates. Need to use a different format? That’s okay, too — the coupon exporter includes a custom format builder, similar to orders and customers, if you need to make some tweaks to the CSV output. 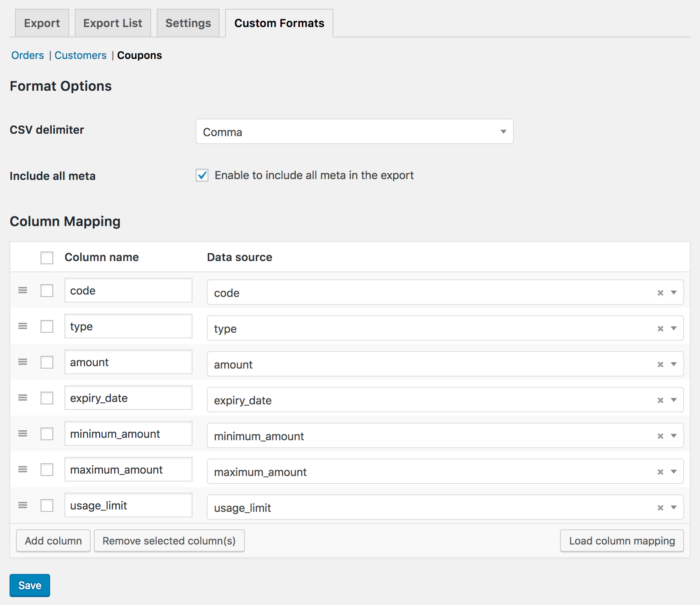 You can add, remove, re-order, or rename columns as needed, then set the “custom” format as your preferred export format. You can run coupon exports on-demand from WooCommerce > CSV Export by selecting “Coupons”. By default, all coupons will always be included in the export. 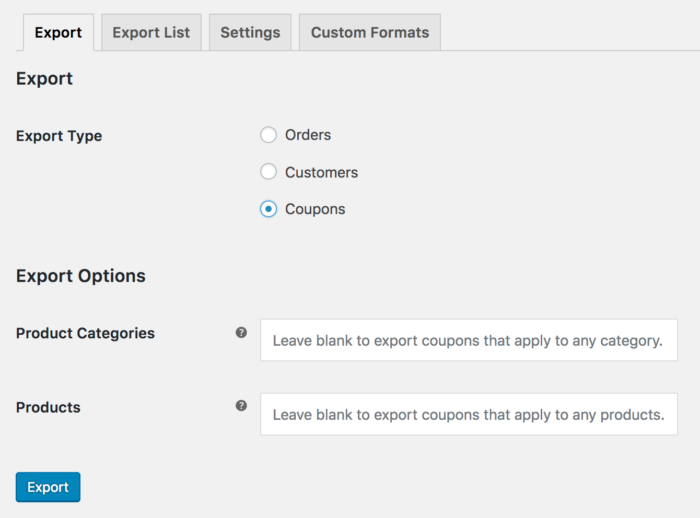 However, you can also limit the export to coupons that are restricted to specific products or categories. You can then take your CSV of coupons wherever its needed, whether it’s uploading it to Groupon, sharing it with affiliates, or making bulk changes to re-upload. Gif game is on point!